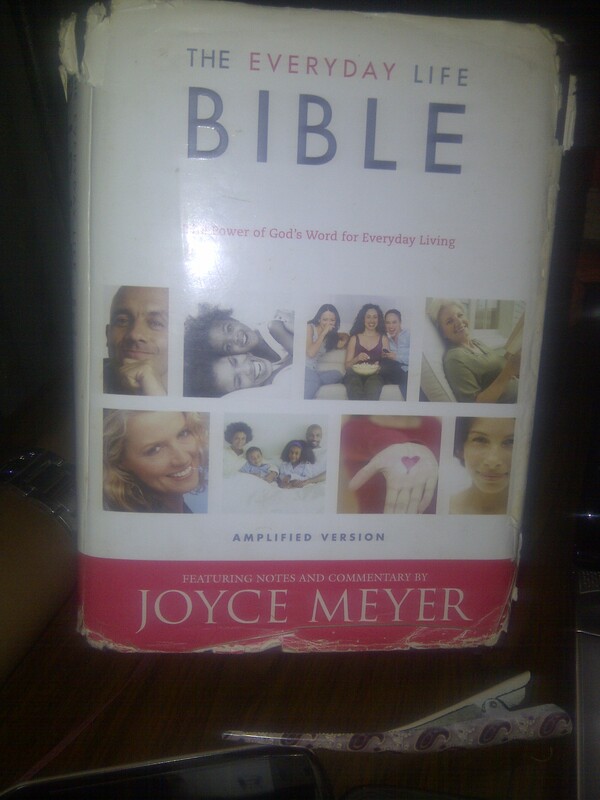 The Amplified bible for a while has been my mainest. I love how it amplifies the Word. Plus tz my momsy’s mainest too. Joyce Meyer. Before the AMP, the NLT was it ooo. I could not read two lines in the NKJV which is sorta like a constant, without referring to the NLT. Recently, I felt drawn back to my First Love, Eugene Peterson’s The Message BIBLE. If you find the KJV and stuff boring, please feel free to get TM and you would feel like you are discussing 21st century stuff with 21st century people. It is so cool. I love the way it breaks the gospel down to what young people especially can relate with. Of course, you can’t read TM alone. You gotta read it alongside a more ‘serious’ version but I love me my TM anyways. The scripture above makes me love it even more… If you back up a bit, you would see that that was Hannah’s song of praise after she bore Samuel, the Boss. Let us bring this down to today, especially Nigeria… Too many hustlers!!! 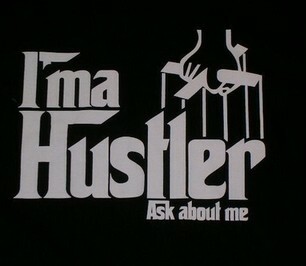 Hustlers for life!!! And they are proud calling themselves HUSTLERS!!! The kinda curses we bring on our selves sha… A’ma hustler, A’ma a’ma hustler… na wa ooo Btw, allow me to define HUSTLING by popular opinion. But before I do, please indulge me in this exercise. When I say hustle, what is the first thing that comes to your mind… certainly NOT a stress-less auto cruise life, where no matter the effort you put in, the results are always a hundred fold more. No sir!!! I bet the first thing that comes to your mind is sweat, stress, traffic, shoving, etc… Now on to some definitions I got for HUSTLE To push roughly. To jostle. Make money doing something slightly shady. To push or force ones way. To sweat through something. To shove. To sell or promote energetically and aggressively. My favorite has to be; To make STRENOUS efforts to obtain especially money or business. (www.iword.com) In Lagos parlance; To wake up very early, struggle through the Lagos traffic, complete with drivers and conductors, trek under the sun, wait for an upward of 3hours to see an ‘oga’ only to be re-scheduled at rush hour, and all sorts of other crazy things that Lagosians go through… LOL More definitions here and they are NOT pretty Sweetheart, HUSTLING is NOT the way. I don’t care what you define hustle as, we all know what anyone means when they say ‘I jus dey hustle’. Please allow me to introduce you to the BLESSING. The blessing of the Lord that maketh rich and addeth no HUSTLE (Proverbs 10;22) The BLESSING that makes life rich… The BLESSING that makes TRULY rich and adds NO sorrow, neither does TOILING/HUSTLING increase it. The sort of BLESSING that makes you achieve what others sweat and HUSTLE to achieve VERY stresslessly. Can we turn on the BLESSING and turn off the HUSTLE for life!!! Allow me to also introduce you to the GRACE of God. Grace that acts as a sort of lubricant making us glide through life easily. I know what Grace can do and I know the difference between Grace living and hustling. As a student, there were times I would HUSTLE in studying. Spend all night studying, reading almost everything. I used to SWEAT and TOIL to achieve high grades. When the grades came, yes I felt fulfilled but that paled in comparison to what I felt later. In my last two years, especially my final year, I turned on GRACE… Oh I enjoyed an academic life of Grace. I was busy doing student politics and Church HOD work and my study time reduced. So when it was time to study, I knew I could NEVER cover it all with the limited time I had. I would just tap into GRACE. Grace that would make me cover JUST WHAT I NEED to cover and no more. When the exams came, I would spank the papers easily mehn!!! I recall SOC 422 vividly. We had about 24 topics to cover and only 6 questions would come out in exams, to answer 4. I knew I could NEVER finish reading it all. Grace took over literally. Grace and Mercy I would say. Cos God directed me to a very sparse few to read and wham!!! More than half came out of what I read. The rest, I used Spritual ogboju to answer and MERCY took over. Mercy!!! Oh MERCY… Not getting what you deserve. I didn’t deserve it but guess who got an Aplus when the results were out? Mba, NOT the Hustlers. 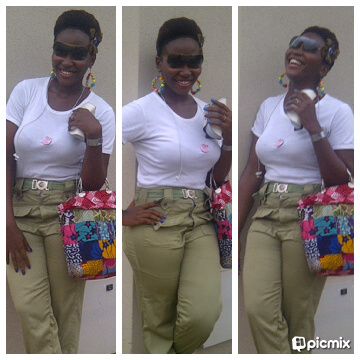 E’ My final year result was the BEST ever. Whenever I feel down a teensy bit, I bring out my transcript. It tells me a story of GRACE like nothing else. It reminds me that my muscle and hustle did not bring as much as GRACE brought. Please can we turn on the GRACE and MERCY of God and turn off the HUSTLING for life!!! Allow me to talk to you about FAVOUR for a minute. Getting what you DO NOT DESERVE. Oh I recall hustling to get a particular school where they would have paid me LESS for my NYSC, and maybe I would be in one staff room with a dozen other teachers. I made calls, got insulted sef by security man, hustled, would go there EVERY DAY sweating to get accepted. Whaosai!!! They were tossing and turning me for the flimsiest reason. I was getting almost frustrated. Till God in His infinite mercy turned on His favor for me, after a very short prayer I said. Like play like play, my present Boss told someone to have me call her and she practically threw me an offer I could NOT resist. The pay is great, working environment FANTASTIC and I get driven to and fro work daily, and I can take the day off like I like. That, my dear is what I call FAVOR… Can we just speak the FAVOUR of God over our lives daily and turn off the HUSTLE forever? I love the easy life. Dem no swear for me… Some of you like to HUSTLE and even derive some sort of REP from being called a HUSTLER or saying ‘We just dey hustle’ and so beef those of us who have decided to turn on the FAVOR, THE GRACE, THE MERCY and of course NGOZICHUKWU , that is THE BLESSING… I don’t!!! I am LAZY, sorry. If there is an easy way, I want it. Please before you quote Genesis where God cursed Adam and said that man would have to sweat and all, please allow me to introduce you to THE FINISHED WORK on the cross that has redeemed us from that curse. Aren’t you just grateful for that second Adam? 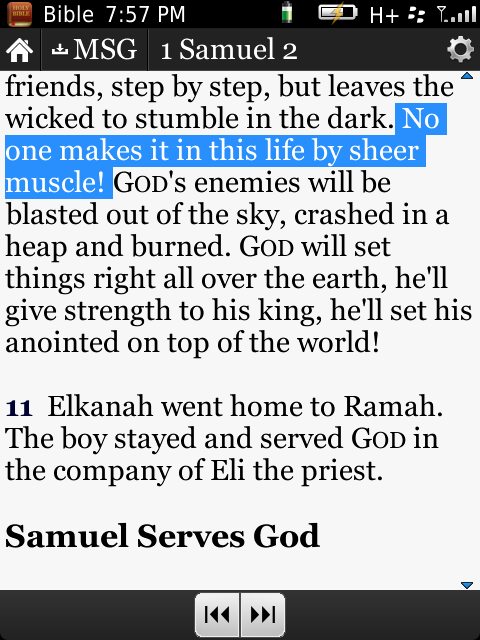 By the way, that verse in other versions is simply BY STRENGTH SHALL NO MAN PREVAIL… Yes that popular scripture you know. Make no mistake darling. I am not knocking diligence and promoting laziness. As a student, I studied with the free time I had and even spent some nights awake. The anointing doesn’t rest on LAZY people. The anointing repels laziness. I am in no way promoting a lazy life. As a Believer, you sef know that you cannot afford to be lazy. Find something to do, give your best to it. But if you are relying on mere muscle alone, then I am so sorry for you. If you need to labor however darling, please labour in the Word. Find a scripture for that thing you are trusting God for and labour in your confessions. Sow!!! As Christians who wanna enjoy THE BLESSING, we can let our seed do the hustling for us. Pay your tithe and sow seeds too. Both to the church and to the life of men who are daily showing us what it is to be A BLESSED BLESSING (Please insert Rev Albert’s name here and Pastor Kingsley Okonkwo, my amazing Fathers). And please be active in God’s vineyard too, the Church. You can’t be giving all your life to work COMPULSORILY and then when it comes to church, you go only when you are tired or have the time. Then of course, be diligent in your work. VERY DILIGENT… The BLESSING repels laziness ooo. But to trust in that strength of yours alone is to be a HUSTLER… Speaking of sowing, a Hustler can’t sow. Because all your results are from hustling… No Grace factor. How you wan take sow na…? It will be like sowing your blood. Like seriously, I love this. Even Ecclesiastics 9:11 said some thing sweet; the race is not always to the swift, nor the battle to the strong, and all that. We realy need to activate Grace, Mercy and Favour of God in our every day lives. Thanks E. You are the best. Honestly, dis article is about me. Reading it now, I feel lik God is telling me to “port” from my hustling to Grace&Favour. Thank u 4 dis message. May God’s Grace continually birth inspiration in u.
our lady “otondo”, enjoy ur service yr, make Naija great&make God proud. 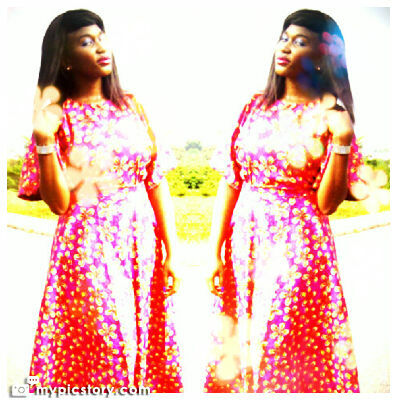 Enjoy a GRACE FULL life darling. And yes, NYSC is making sense yo!!! Tz just the meaning of hustle that I feel one kind about. “Speaking of sowing, a Hustler can’t sow. Because all your results are from hustling… No Grace factor. How you wan take sow na…? It will be like sowing your blood”….lol! That made me laugh. Had to revisit this again cos I now hear hustle frequently from a lot of christians that I even started saying it again…..kai! ThankGod for direction this morning. Even I had to re read.